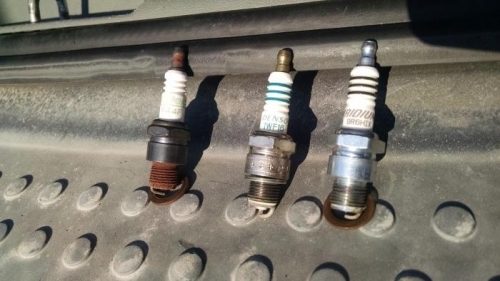 The attached picture has three samples of spark plugs from my flight engine. All have the same life, 100 hours and have been exposed to the same conditions 100LL and just set on the shelf after removal. Even at removal the AC plugs had rust on the area inside the combustion chamber and came out tight and slow. Maybe it's Michigan, but I like the look of the NGK and Denso plugs better. I use the Denso IWF16's with their own steel washer now and have had no issues in 200 hours and all kinds of weather.